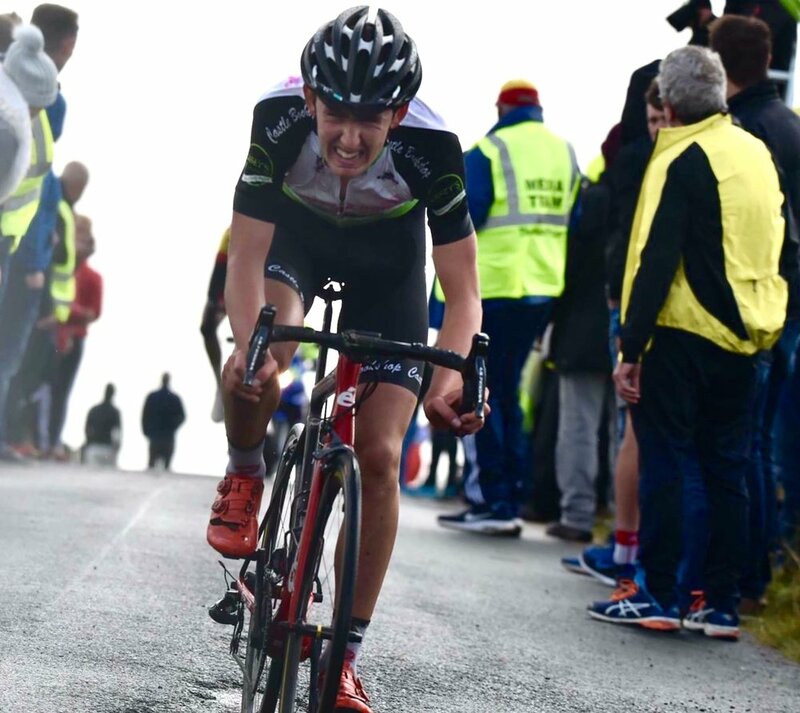 I'm Conor Gallagher, a junior cyclist from the wild west of Ireland. I rode the last 5 years with my local club of Castlebar CC who have been very supportive of me. In my primary school years I played every sport available to me, I was especially good at rugby and Gaelic football, so naturally when my dad went out on his race bike one summer's evening I hopped on my mountain bike and did my best to stay with him, and I instantly knew there was something different about the sport from the pain in your legs to the simple competitive nature of the sport. Yes I've tried and competed in most sports especially Gaelic as my father Kieran played for Mayo and was the selector for the Mayo senior team for many years. Two of my cousins Sinead Lynch and Caitriona Jennings have both competed in the last two Olympics also. So I guess you could say its in my blood. I currently compete in road cycling but I am going to give track cycling a stab next year. I don't really have any specialty other than being opportunistic as I'm a bit of an all rounder. My Cervélo S3 for sure. I won many National Titles on the road at youth level, but coming third up Glengesh on the last stage of Rás Donegal this year despite being in a tough breakaway for the whole day and crashing hard earlier in the stage made me feel pretty content. Past Alberto Contador and Sean Kelly and for present probably Taylor Phinney. Without a doubt Peter Sagan's descending on stage 16 of the 2015 Tour de France. Giro for my favorite stage race as its just epic and Italian. For the one day races I would have to say the World Champs as you just never know whats going to happen. I don't have a favorite song, I just try to mix it up between pop,rap and dance playlists because a 4 hour ride of listening to a certain playlist and you get pretty fed up of it. I do a bit of farming on my Granddad's farm next door when I'm needed, saying that I wouldn't like to be a farmer I'll leave that up to my more agricultural minded brother Rory. I'd like to keep cycling to the best of my abilities for as long as I can and take the rest as it comes.